When it comes to hard copy, most people are fine with the results of simply clicking the Print button. But if your life revolves around the printed page, the shortcomings of this approach soon become apparent. Some of PCWorld's favorite printer utilities not only make your life with paper easier, but lessen printer technology's impact on the ecosystem. Most of them are free--and none of them cost much money. Occasionally you run across random stuff on the Web that you'd like to print out, but printing an entire Web page just to obtain a single image or paragraph wastes both ink and paper. The HP Smart Web Printing tool (free) allows you to grab parts of many Web pages and print them together as a single document. It has no layout capabilities other than reshuffling the order of elements, but it will print to any type of printer--HP or not. Another way to cut down on waste is the FinePrint printer driver (free with restrictions, $50 to register). It sits on top of your normal printer drivers and lets you combine jobs, remove unneeded pages, convert to grayscale (to save on color consumables), omit images, and print up to eight pages per sheet. You can use FinePrint for free without purchase; but if you leave it unregistered, it will put its mark at bottom of the pages. Use it in conjunction with Smart Web Printing, and you can get your green on with minimal hassle. Once you install and use the Ecofont Vera Sans font (free), you can conserve quite a bit of ink or toner. This sans serif TrueType font won't win any beauty contests, but it is readable--and it requires less ink than a standard font. According to the vendor, you could use up to 25 percent less ink. Although the effect may not be to everyone's liking, it will save you money if you do a lot of printing. 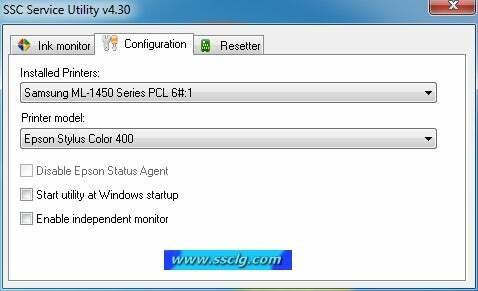 For users of older Epson printers, the SSC Service Utility (free) lets you reset counters and the like for many of the company's Stylus-series printer cartridges. This tweak allows you to refill cartridges with your own ink without having to endure low-ink warnings. Keep in mind, however, that refilling cartridges on your own may void your printer's warranty. Although Apple's iPhone devices are superhandy and capable, they've relied on computers for their printing--until recently, that is. Now, HP's iPrint Photo and Kodak's Pic Flick (both free) let you print directly from your iPhone to the companies' respective Wi-Fi-connected printers, such as the HP Photosmart e-All-in-One and the Kodak ESP 9250. Unfortunately, vendors have yet to release anything similar for Android or WebOS devices. Though not strictly a printer utility, Scribus (free) is an open-source document-layout program along the lines of QuarkXPress and Adobe InDesign. If you want to combine diverse elements onto a page, it has every tool you need. Use it in combination with the first-rate open-source photo editor GIMP, and you have a professional-level publishing system at your fingertips. Last up is a fun little program called Flipbook Printer (free/donationware for personal use; commercial use by arrangement). The program grabs a bit of AVI or MPG video and prints still images that you can combine to create one of those old-fashioned flipbook animations. The paper you waste is the power you save. Flipbooks are a cool, human-powered way to view an important moment of yours in motion.